What is ammonia and why is it bad for your horse? 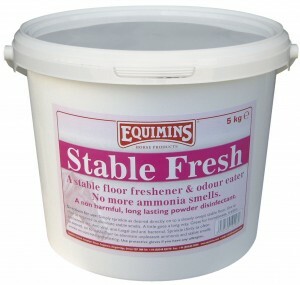 The eye-watering aroma that greets many a horse owner each morning at the yard is ammonia. To some, ammonia goes hand-in-hand with horse ownership, but it doesn’t have to and, more to the point, it shouldn’t as it can irritate the horse’s respiratory system and actually impact on his performance. So, what is ammonia? It comes from the urea in the urine and faeces. Some beddings are worse at handling urine than others, meaning that some types will allow the production of greater levels of ammonia. Ammonia is also absorbed into the fabric of the stable, and if urine seeps under rubber matting or can’t escape due to poor drainage, that smell will hang around, even when the stable has been thoroughly mucked out. Ammonia in the horse’s environment isn’t good news. If you think about why people use ammonia– which is often as a strong cleaning fluid, then it’s hardly surprising that it’s bad for the horse. In the stable environment, ammonia can have a serious impact on your horse’s health, it can irritate the skin and the eyes, but perhaps one of the key areas for ammonia is the respiratory system. Here, ammonia can cause inflammation and irritation of the airways and can exacerbate the symptoms of respiratory issues such as COPD. You might think that controlling ammonia is an impossible task, but it isn’t. Changing bedding can make a huge difference as some naturally help to manage ammonia in the stable. You might also need to address your drainage and tweak your management style, especially if you use a deep litter system. 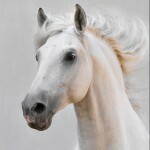 In addition to this, there are special floor fresheners that remove the smell of ammonia from the stable environment. Our version, Stable Fresh, is a dry disinfectant powder that stops ammonia and is also antibacterial, anti fungal and anti viral. On top of this, it’s so easy to use and doesn’t require drying time as it’s dry – you just use as and when – that’s it! To find out more about Stable Fresh, see the website here.